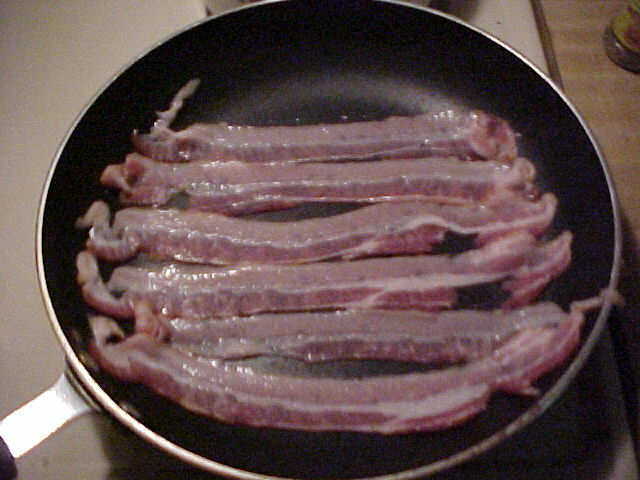 Fry 6 strips of bacon until very crisp, then drain, crumble and set aside. Grate one pound of Swiss Cheese. I strongly recommend using a Cuisinart for this because it processes quickly and efficiently but it is not a necessity. You can chop sliced Swiss with a knife if you would prefer. 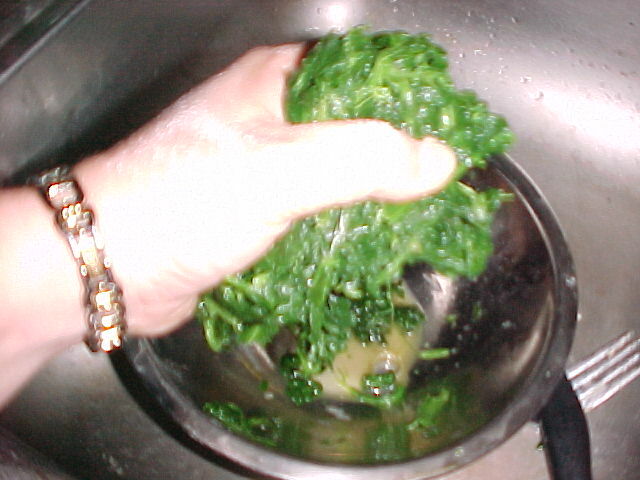 Thaw 1 box of frozen, chopped spinach, then squeeze off all the excess moisture and drain thoroughly. 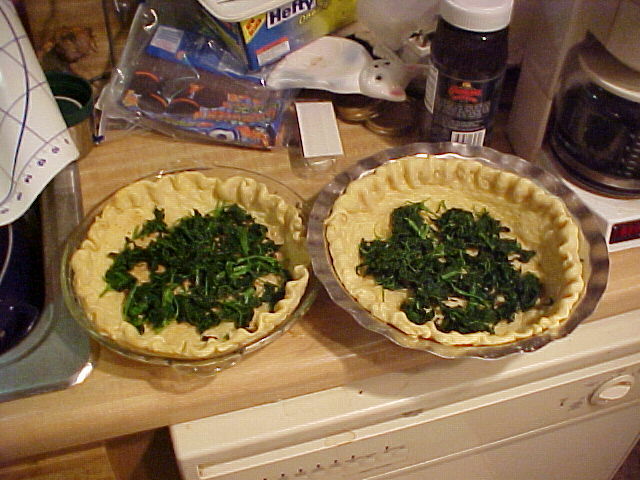 You want the spinach to be very dry so that you do not have excess spinach liquid cooking into your quiche (which would drastically alter your results). 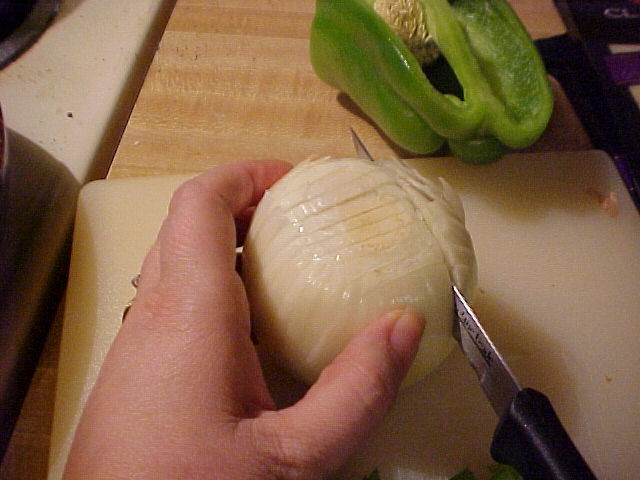 Mince half of a medium onion. I find it easiest to make cuts across the top horizontally and vertically and then slice across the cuts. Whisk eggs, then add milk and spices and whisk again. 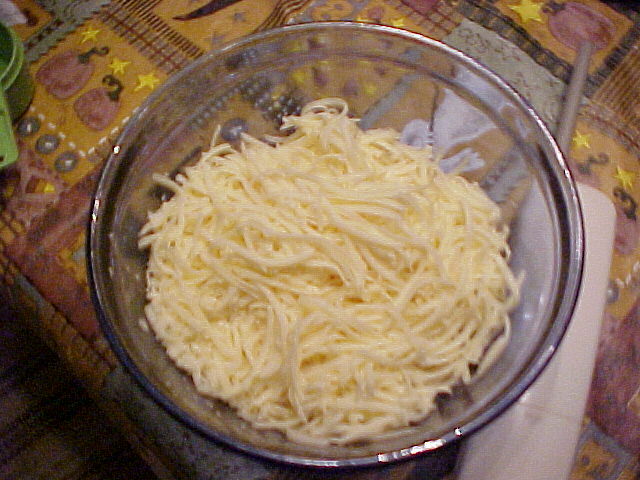 Add parmesan cheese and whisk one more time so that custard mixture is thoroughly mixed. 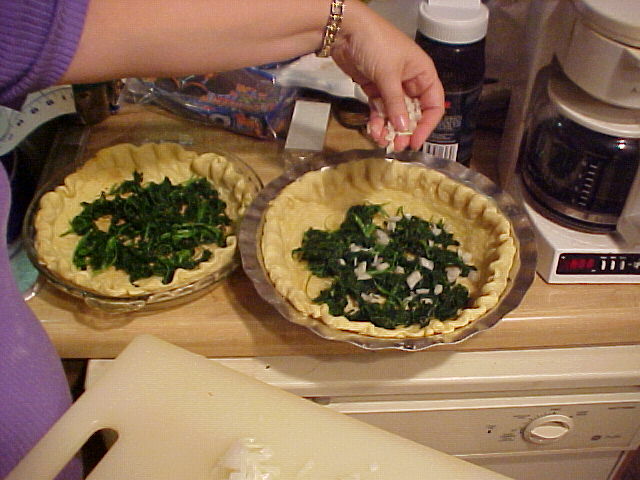 Divide spinach in half and scatter half in the bottom of each pie shell. Sprinkle minced onion on top of spinach. 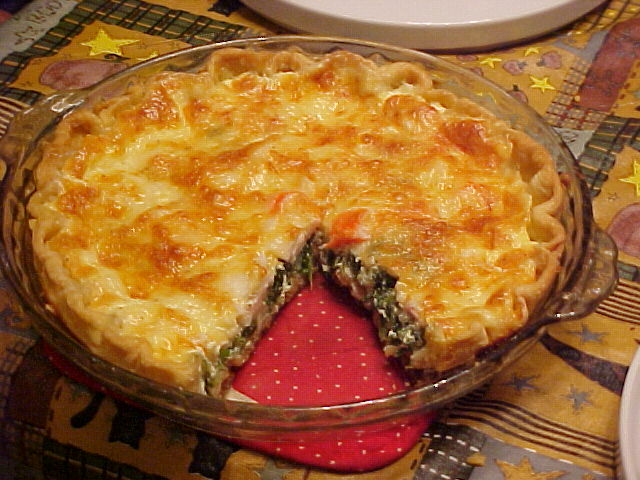 Top spinach and onion with crumbled bacon. 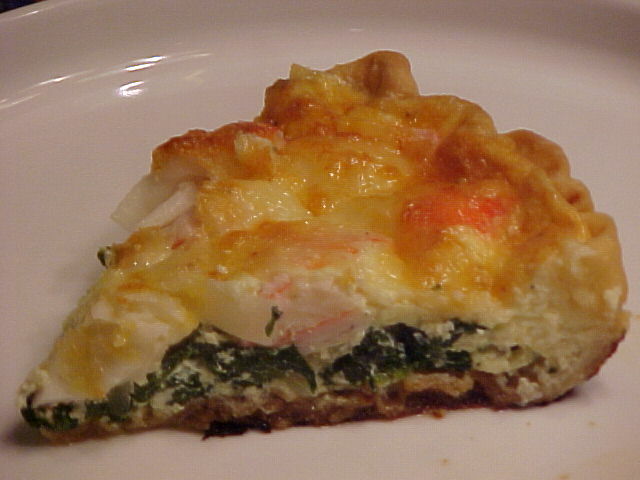 Add the crabmeat to the other ingredients, then top with the swiss cheese. 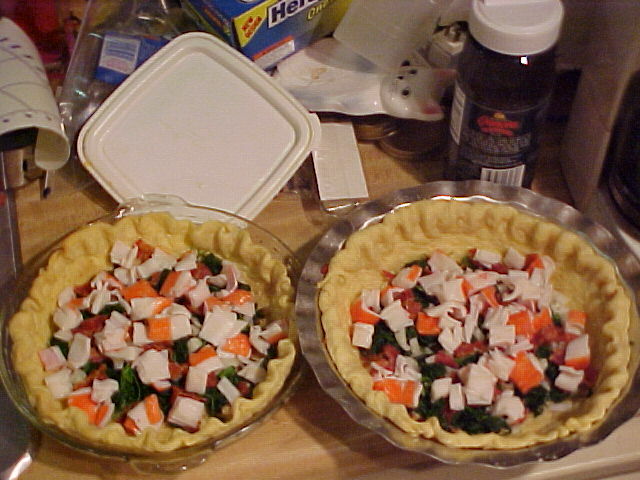 Whisk the custard mixture one more time and then quickly pour half of this on top of each of the ingredients in the pie shells. 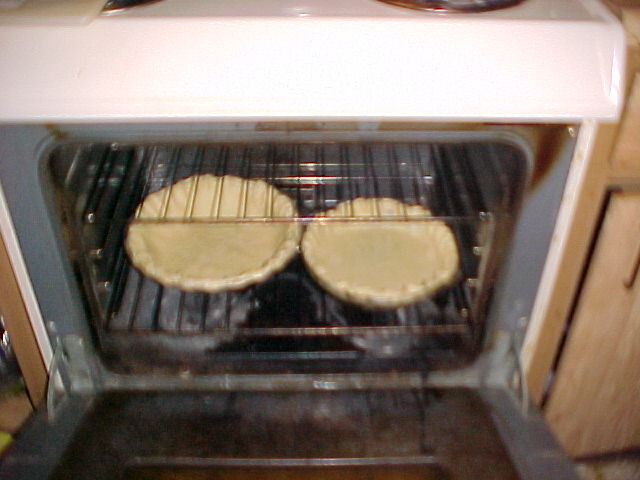 Place in the oven and bake at 375 degrees for approximately 35 minutes. You will be able to tell when it's done because it should be puffed up, will appear set and will "wiggle" when you jiggle it gently. 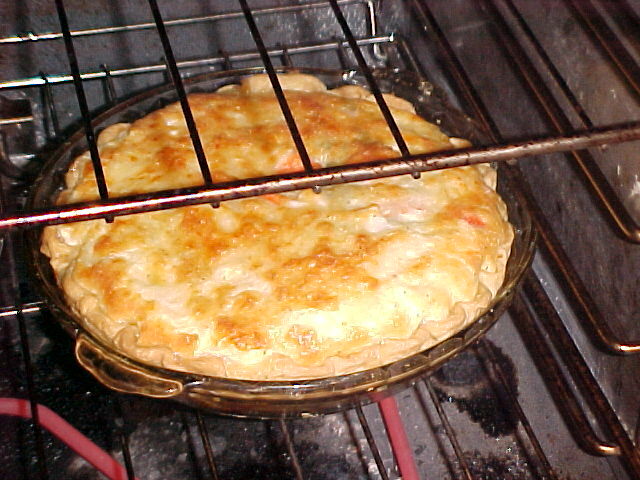 It should appear to be browned nicely on top and bubbly. Here's what the finished product looks like -- browned, bubbly, and puffed up. 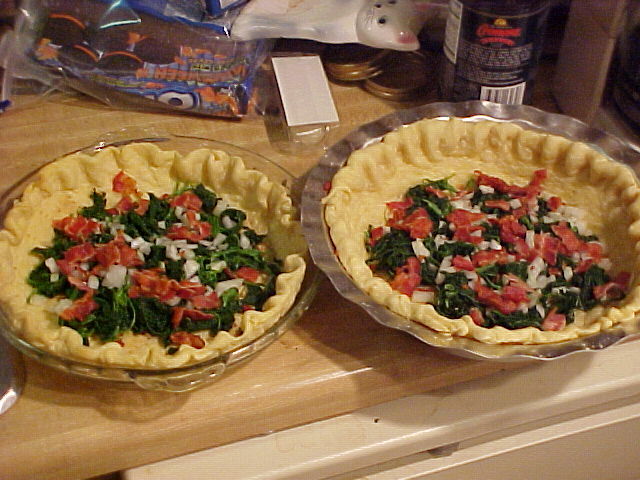 Here's our finished quiche -- a great meal that you can be proud to serve to company and which is bound to be a hit with everyone.